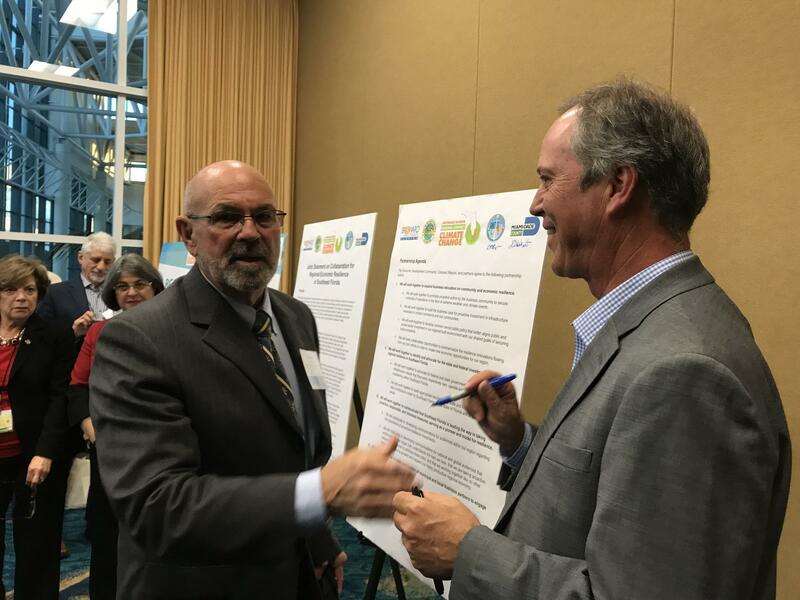 Monroe County Mayor David Rice, left, and Broward County Mayor Beam Furr were among the elected officials who signed an updated version of a Southeast Florida climate action plan. At a regional summit in Fort Lauderdale on Thursday, leaders from Broward, Palm Beach, Miami-Dade and Monroe counties unveiled the second version of their Regional Climate Action Plan (RCAP). The plan -- a collaboration among county and city leaders, with input from non-profits, business and the general public -- provides guidance to help communities cope with challenges like flooding, high housing costs and public transit while bearing in mind the increasing threat of rising seas. It also includes a partnership with Southeast Florida's economic development community, including regional chambers of commerce and business leadership groups. "This collaboration will focus on joint efforts to engage the private sector, advocate for necessary funding and infrastructure investments and seek out innovative solutions," Broward County Mayor Beam Furr said in prepared remarks announcing the partnership. He and other leaders said one goal is to get potential investors to see sea level rise as an opportunity for innovation. "The economy and finance drive almost everything," said Monroe County Mayor David Rice. "We have to recognize that." The first version of the Regional Climate Action Plan came out in 2012. The second version -- dubbed "RCAP 2.0" -- includes increased attention to equity in a region where the gap between low-income residents and wealthy ones is growing. It also emphasizes public health -- in part because people who are poor, elderly or disabled are likely to have the hardest time preparing for severe weather and climate events. "When the mayor goes on TV and says you need to get three days' worth of supplies, we can go to Publix after work and pick up supplies," Susy Torriente, assistant city manager and chief resiliency officer for Miami Beach, told an audience of about 300 officials, activists and policy advocates during an afternoon panel at the summit. "Not everyone in our community can do that." 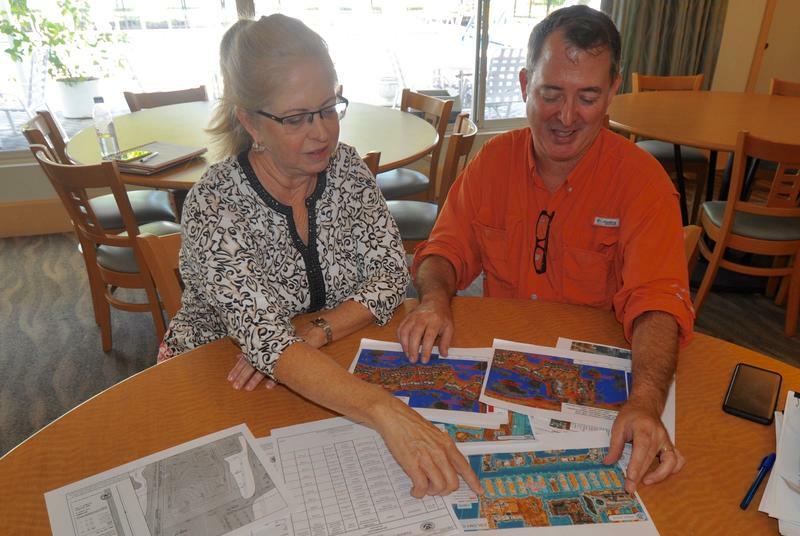 The plan is non-binding, but it's intended as a resource to help South Florida communities share their growing expertise on addressing livability challenges, Torriente said. RCAP 2.0 is available online and users can find recommendations and case studies for a variety of resilience challenges. They can then filter results based on what type of organization, business or government agency they work for. 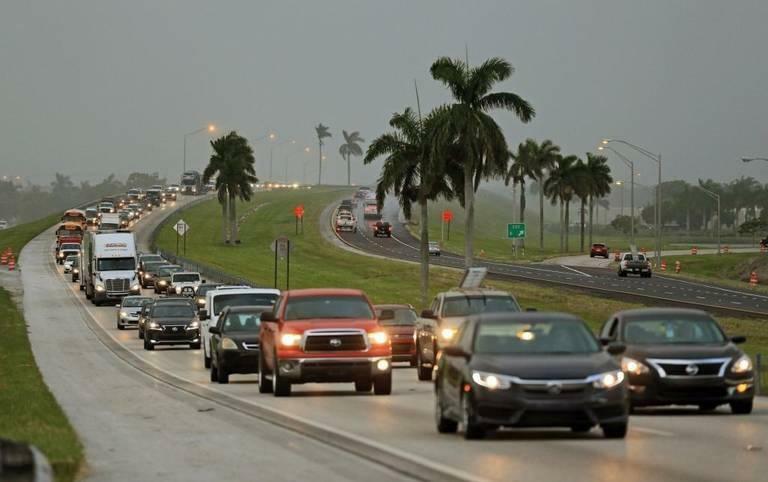 "We have about a third of the cities [in Southeast Florida] that are committed to the RCAP," Torriente said, adding that officials' long-term goal is to get all the municipalities within Broward, Palm Beach, Miami-Dade and Monroe counties on board. "It seems like a great clearinghouse," said Nathan Stinnette, a summit attendee and consultant with the firm RS&H, which helps cities develop sustainability plans. He said he thinks the website provides opportunities for smaller municipalities to "pull down information about what some of the larger cities that have a lot of resources are doing to address resiliency and climate change issues." Others in the audience said they're encouraged by the openness and collaboration the updated plan and website seem to promote. 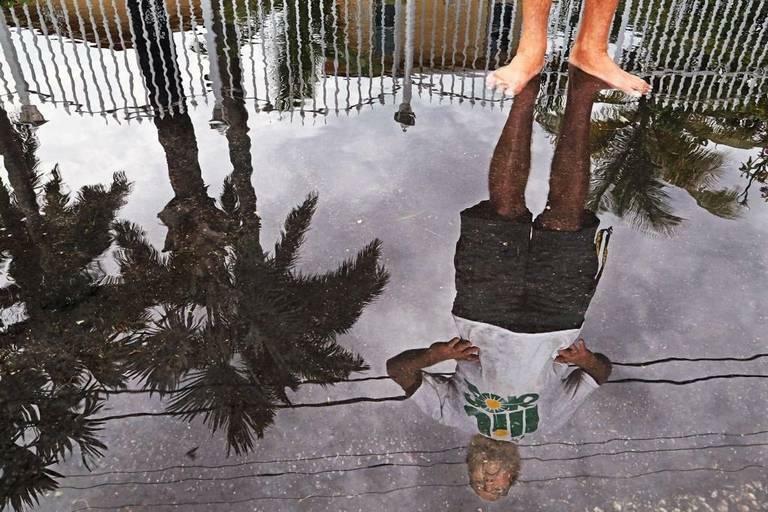 "I believe this will be useful in being very transparent on how we're dealing with climate issues in South Florida," said Nancy Metayer, a climate justice organizer for the New Florida Majority. The organization has previously criticized Miami-Dade County for a response to Hurricane Irma that left behind low-income and elderly residents. Mayors from Broward, Palm Beach and Monroe counties and a Miami-Dade deputy mayor described Hurricane Irma as a wake-up call for longer-term problems. During a late afternoon panel, the elected officials said Irma highlighted the potential devastation of problems that will only worsen with climate change -- particularly storm surge and flooding. 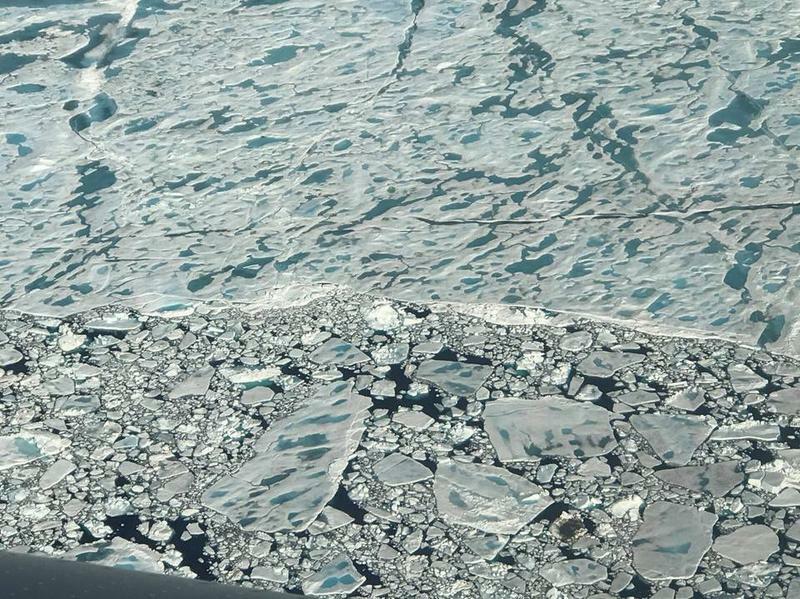 The officials also said they saw firsthand how storm surge, flooding and other climate change impacts will disproportionately impact low-income, elderly and disabled people who are less able to prepare. "We would not choose to have the destruction that we've seen, but we're there," said Rice, the Monroe County mayor. "At the same time this is a disaster, it's an opportunity." In just five years, the state's total number of federal flood insurance policies has fallen by 15 percent, according to Federal Emergency Management Agency data. 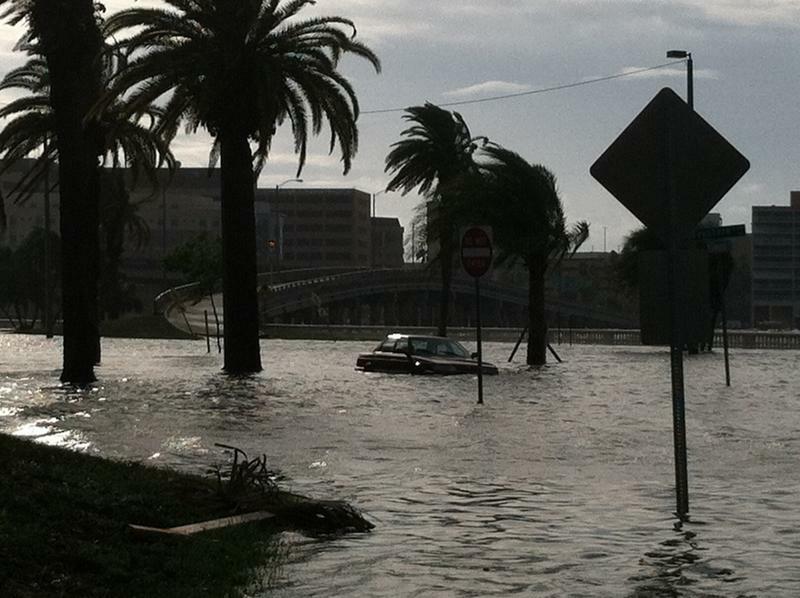 Florida's property owners still buy far more federal flood insurance than any other state — 1.7 million policies, covering about $42 billion in assets — but most residents in hazard zones are badly exposed.